One night in Buenos Aires could define Donald Trump's presidency. Within a few hours, Trump telegraphed ambivalence about the two issues that have defined his time in politics: China and the wall. Why it matters: Trump's comments mean the next three months may define his presidency. His first term is slipping away from him. On the trail, he promised to build a wall. But almost two years into his presidency, he's barely built anything. He also promised to force China to end its abuse of American businesses. But China hasn't changed in any meaningful way. On China, Trump eased free traders' concerns by agreeing to freeze the trade war for 90 days — keeping the tariffs at 10% instead of ratcheting up to 25% — in the hope that the Chinese will crack down on fentanyl exports, buy a "very substantial" amount of U.S. products and, for the first time, earnestly address their bad behavior including theft of American intellectual property. On the wall, Trump signaled he's prepared to sign a temporary government funding bill to delay a shutdown fight for two weeks. The Chinese are doing what they always do: making vague promises of reform and seeking to delay confrontation while continuing to steal intellectual property and abuse trade rules. "The principal agreement has effectively prevented further expansion of economic friction between the two countries" and has opened up "new space for win-win cooperation," Chinese Foreign Minister Wang Yi told reporters after the dinner. 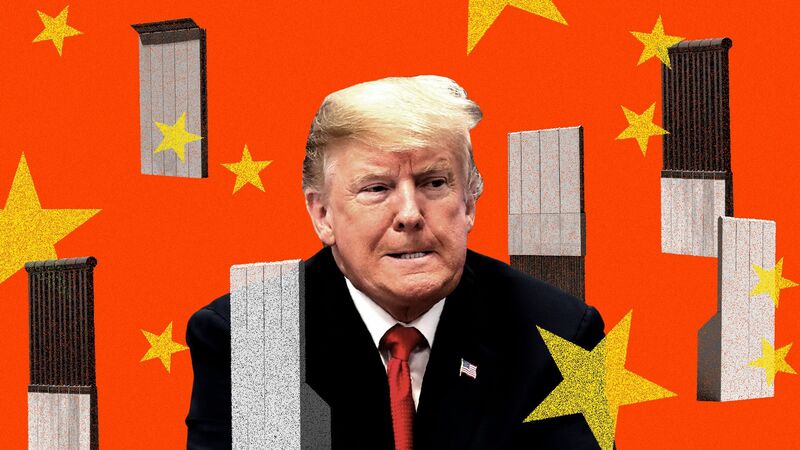 In the coming weeks and months, Trump must decide what means he will use to force these two seemingly impossible outcomes: getting Democrats to pay for his wall and getting China to stop stealing from American companies. These hawks worry the Chinese can drag the "dialogue" with the Trump administration beyond the 90 days, delaying action from a president hobbled by looming Democratic subpoenas, a special counsel investigation and a wobbly stock market. "Everything has got to be seen through the prism of the investigation and needing short-term micro tactical wins," said one of these concerned hawks. "And that's why the stock market going up is a win." "The whole effort with China has been brought to a grinding halt," the source argued, comparing the delay to a short-term continuing resolution to kick the government funding fight down the road. The bottom line: "Elections have consequences," the source added. "The defeat in November leads to compromises in December on the wall and trade — and we haven't yet begun '19." Kudlow on Trump's China meeting: "We're strong, they're not"